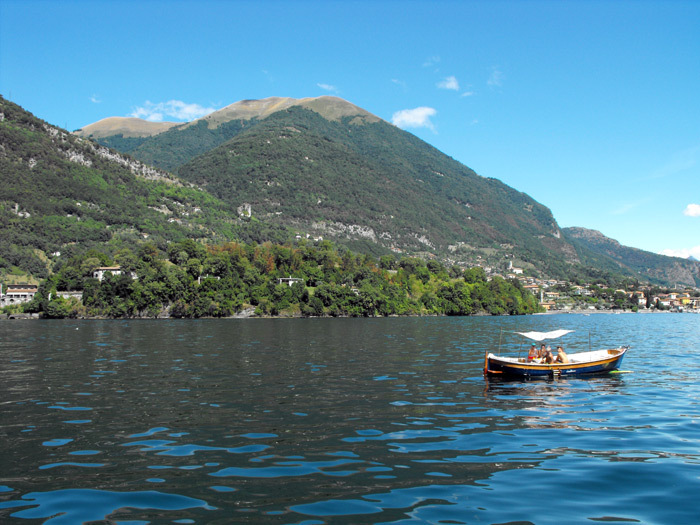 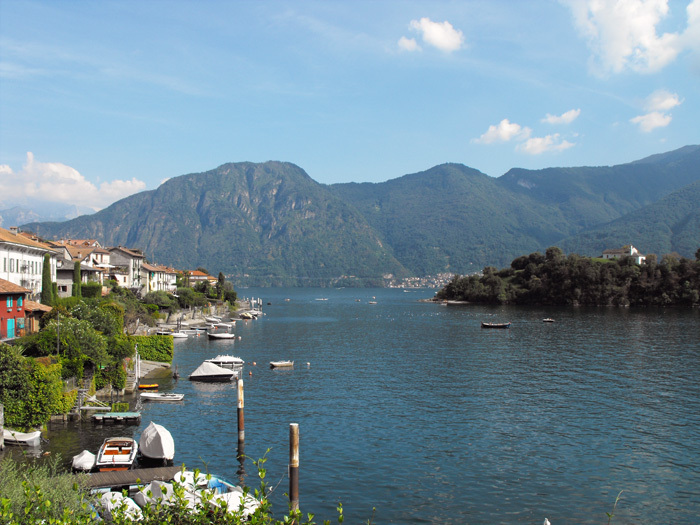 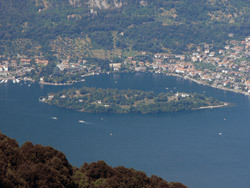 The Comacina Island is Lake Como's only island. 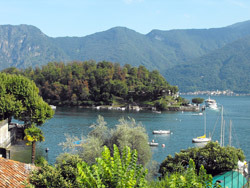 Nearly deserted today, it was inhabited back in Roman times. 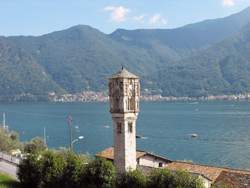 It had monuments already in the early Christian age (5th century) and grew in importance to becoming, in the 12th century one of Lario's most powerful towns. 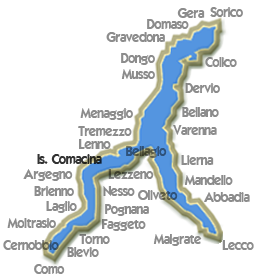 When the war broke out between Como and Milan, Isola Comacina (Comacina Island) sided with those from Milan and helped them destroy Como. 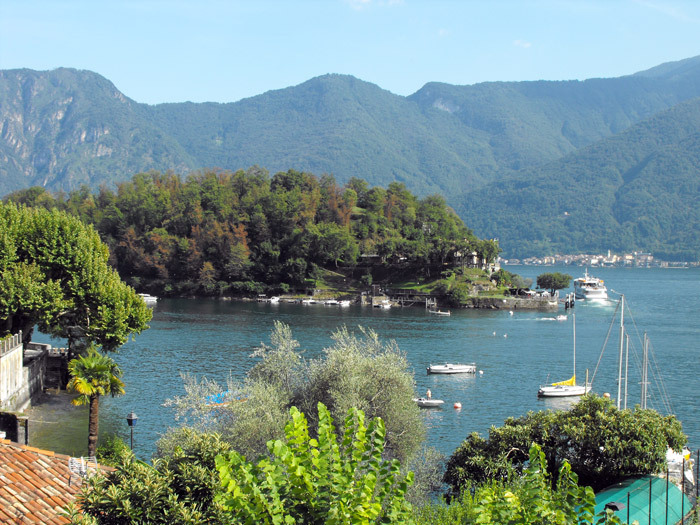 It was its end - the revenge of the people of Como broke out in 1169: everything was destroyed and silence is the only thing remaining on the island. A part of the survivors migrated to the nearby coast and part to Varenna. 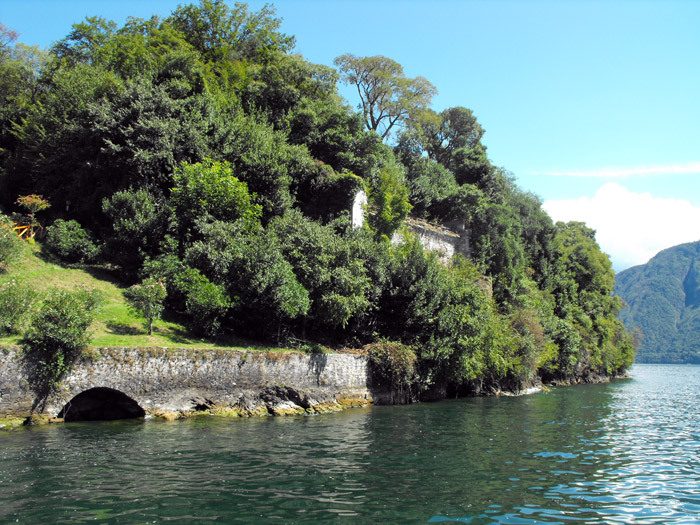 Still today the beautiful ruins of a magnificent Roman Basilica dedicated to Saint Eufemia. 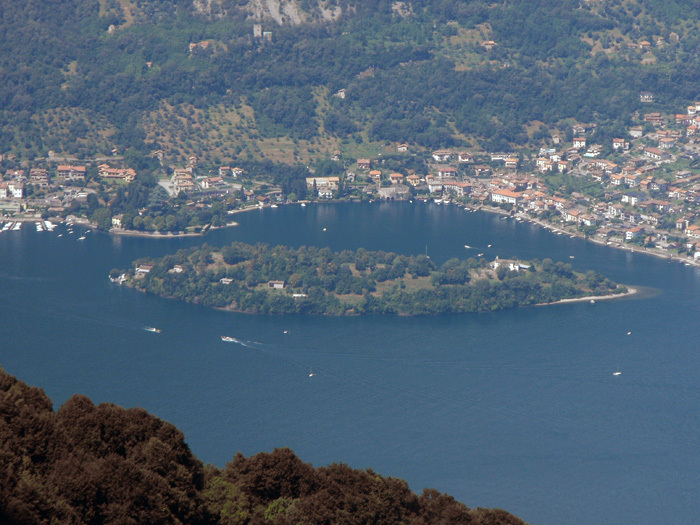 We recommend a visit to the island on the day of the Sagra dei Lumaghitt (Festival of the Small Floating Luminaries), which celebrates S. Giovanni on June 24th with grand illuminations on Lake Como and the mass celebrated on the ruins of the Saint Eufemia basilica. 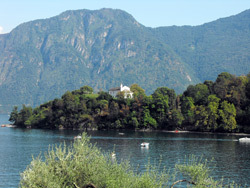 In Ossuccio we find the sanctuary of the Madonna del Soccorso (Our Lady of Help), the church holds a venerated statue of the Virgin. 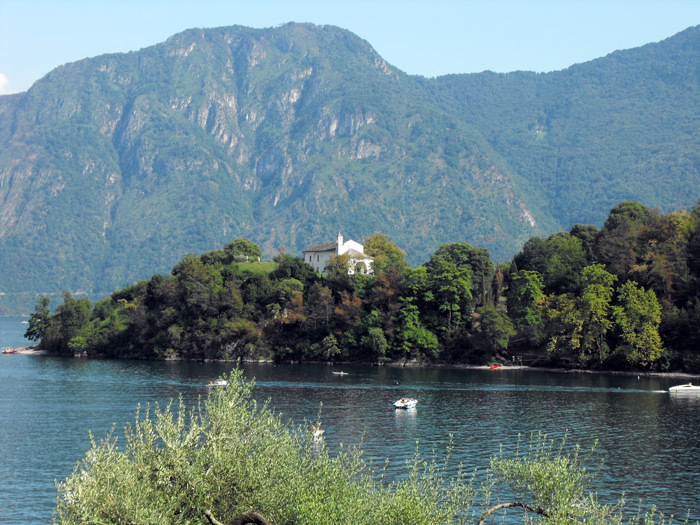 It is accessed by means of a road with 14 chapels from the 1700s which tell the Misteri del Rosario (Mysteries of the Rosary). 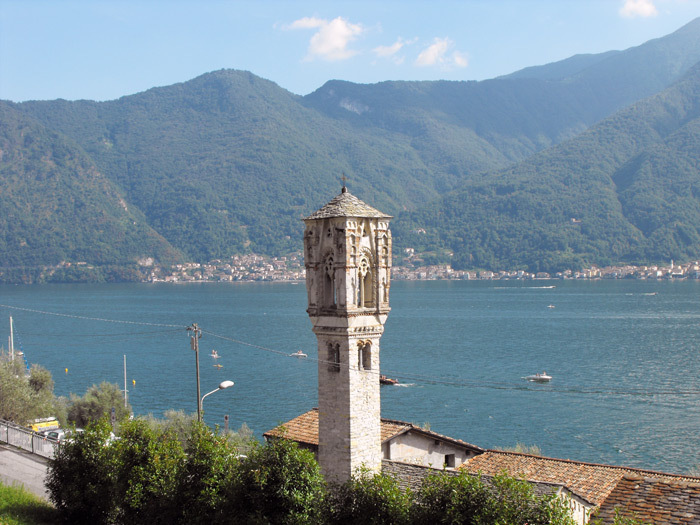 In Ospedaletto, we are welcomed by a curious monument among the most photographed for its singularity: a Gothic bell tower from the15th century, placed atop a tiny Roman bell tower of the Chiesa di Santa Maddalena (Saint Magdalene Church) from the 9th century. 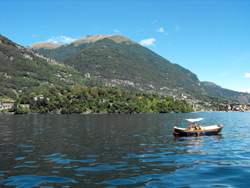 In the background, the splendid Comacina Island can be admired. 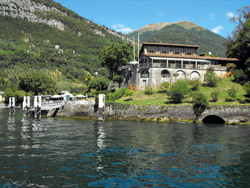 Not to be missed on the island is a stop at the Comacina Island Inn. 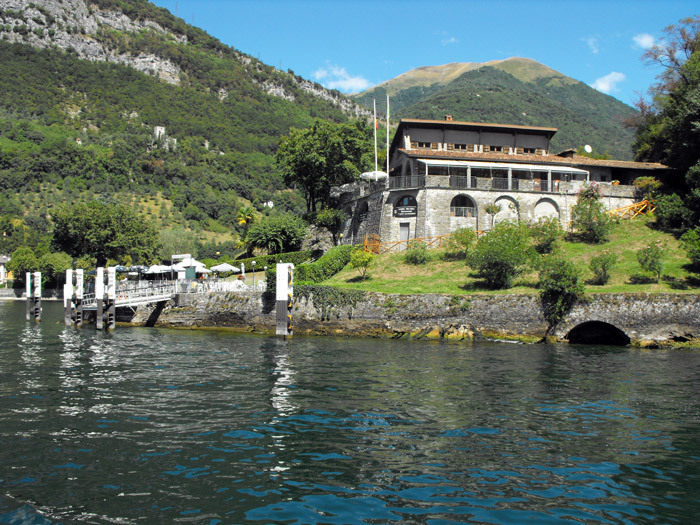 The restaurant, open to the lake, is luminous in the coldest months, and ideal during the summer season for its atmosphere which is pleasantly refreshed by the breeze of Lake Como.